Going to a New Year’s Eve party this year? December 31 is one of the most popular party nights of the year! Whether you’re hosting an event or going to one, the right food, drinks, and activities help ring in the new year with lots of laughter and fun. Here’s just a few of Sisters Know Best‘s favorite New Year’s Eve party food, drink, and activity suggestions to make your party the best one yet! Unless you’re planning a formal affair, people are going to spend most of their time at your New Year’s Eve celebration mingling and talking with guests. That means finger foods! Check out these tasty options. Olives are a favorite at most large dinners – at least in our houses. There’s always that traditional dish of olives and pickles at every family feast. So, of course, there’d be olives at our New Year’s Eve Party. 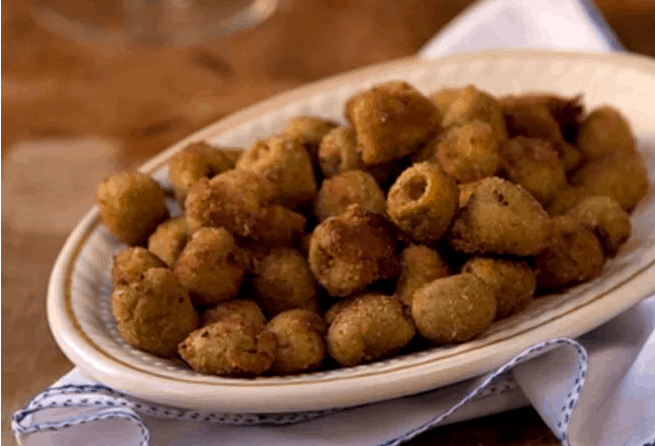 That being said, these fried olives kick them up a notch. Make a lot because they’re sure to be a huge hit! 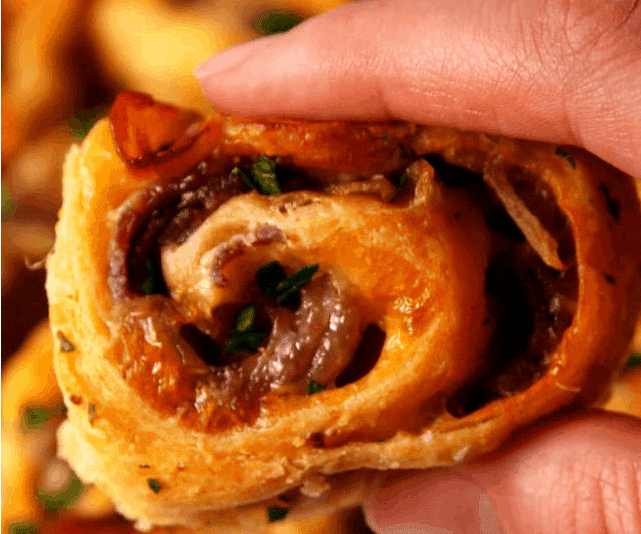 A good French Dip sandwich is a favorite of Hell’s Kitchen star Gordon Ramsey. We think he’d like the roll up version even better. Same great flavors and filling as the sandwich, but this version is MUCH easier to eat while mingling and interacting with a crowd. Who doesn’t love a good grilled cheese? Tough to eat at a party though… We can see the dripping cheese as a disaster. Can’t you? These amazing grilled pesto and cheese fingers not only take grilled cheese to a whole new level of awesomeness, they’re also the perfect finger food. When the clock strikes midnight, you and your guests will want the perfect drink to toast in the new year. Beer and wine are always good options, but if you’re looking to do something a bit more interesting this year, check out these New Year’s Eve drink options. Combining a traditional morning beverage – orange juice – with sweet raspberries and prosecco, this drink will start everyone off with a sweet year. Plus, there’s just enough alcohol to keep the party going well into the morning. What’s better than Champaign for celebrating a New Year’s Eve party? 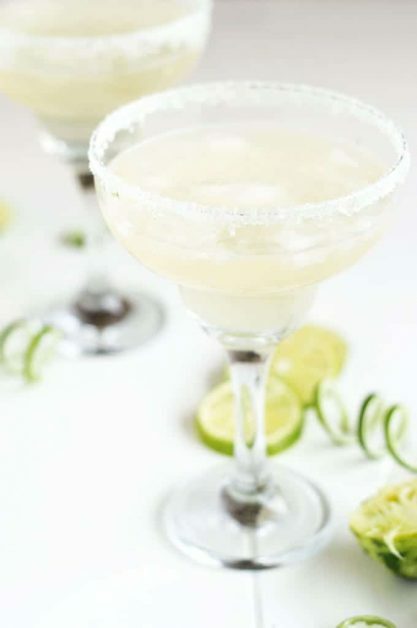 Champagne margaritas, of course! The tequila and orange liqueur add flavor and help stretch your drink budget. Plus, the drink looks so pretty in Champaign flutes! 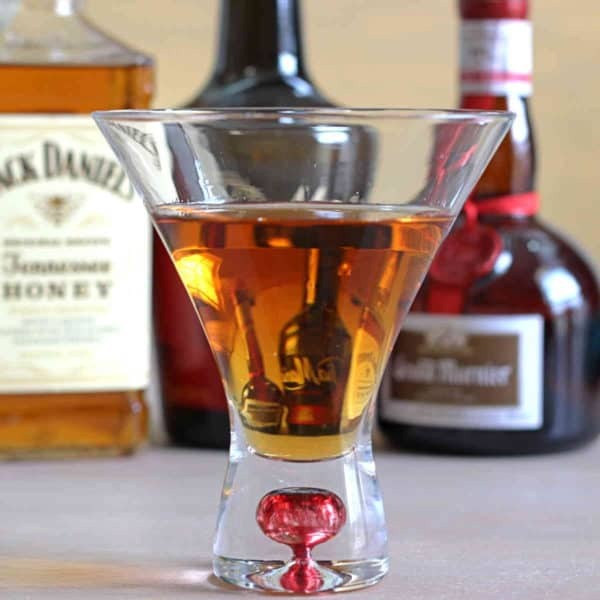 Your New Year’s Eve party may not be a grand ball, but your guests can have the taste of being at one with this chocolate beverage: Jack Daniels Honey combined with a dash of chocolate bitters and Grand Marnier. It’s not only elegant; it’s a drink your male and female guests will love…because it’s chocolate! New Year’s Eve parties start early and go all night long. As the food and drinks are being devoured, keep your party goers entertained and engaged with some super fun games. This game is a great conversation starter, too. You can print out game cards or make your own. 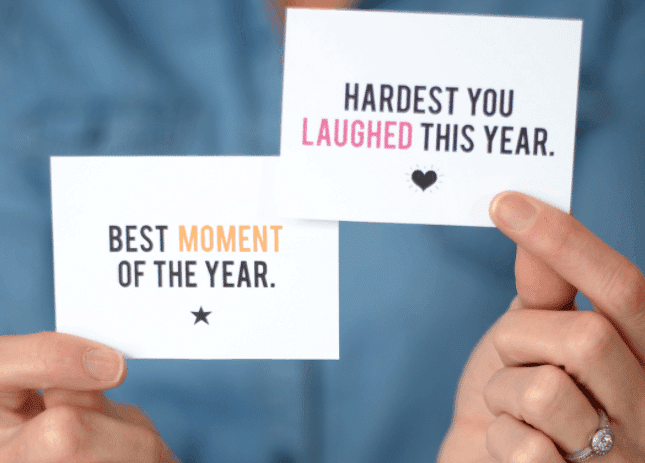 Consider topics like Best Moment of the Year, Most Embarrassing Moment of the Year, etc. Customize them to fit your crowd. Then put them all in a bowl, have guests pick one, and go around having everyone answer. 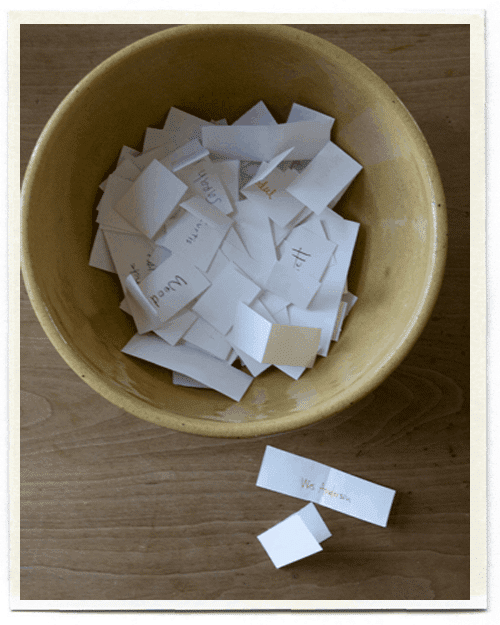 Get your guests up moving and talking to each other with The Name Game. Each guest is given the name of a celebrity or another famous person and the other guests need to guess who it is based only on answers to their questions. No cheating! 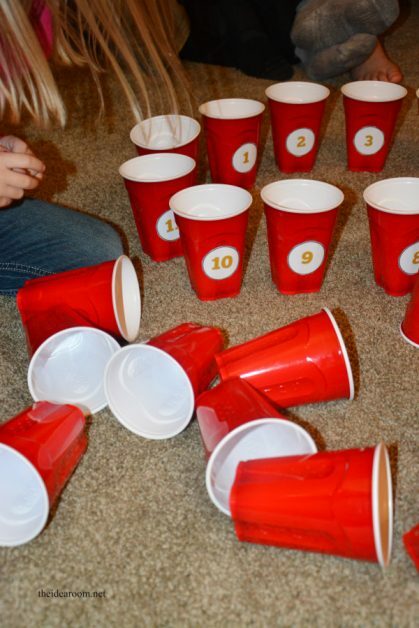 There are tons of games you can set up before your New Year’s Eve party gets underway. 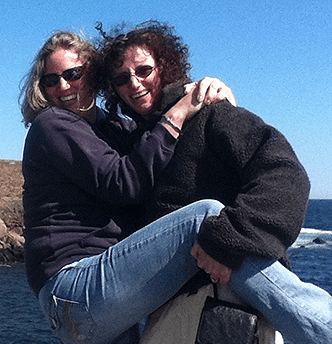 These fun ideas are reminiscent of the TV show of the same name and just as much fun. Have your guests compete and hand out pre-purchased prizes to the winners. With the right food, drinks, and games your New Year’s Eve party will be a huge success. Tell us what other ideas you love for New Year’s food, drinks, and activities for adults.